Ran is returning to the Regatta Bar (Cambridge, MA) on Wed, Oct 5, 2016 at 7:30pm. The set is titled Opus a la Vengeance & The American Song Book. The former is a reflection on “Evil,” pulling from film noir influences such as Dr. Mabuse: The Gambler, Spiral Staircase, Le Boucher, Bunny Lake is Missing, and others. The latter is dedicated to the memory of Sandi Peaslee who died suddenly of pancreatic cancer in March. She loved to hear Ran play rarely heard standards and show tunes, and encouraged him to dedicate a concert to the American Song. Fluglehornist Ken Schaphorst will be a special guest on a couple of pieces, as well. Tickets are on sale now at the link below. 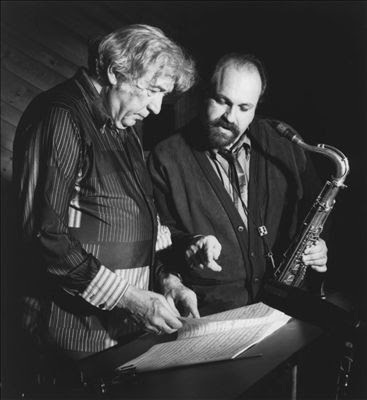 Joe Lovano, Peter Child, Ran Blake, and many others celebrate the life and music of composer, educator, record producer, author, french hornist, compleat musician, Gunther Schuller, who passed away last June. This evening is curated by long-time friend, colleague, and Director of Wind and Jazz Ensembles at MIT, Fred Harris. 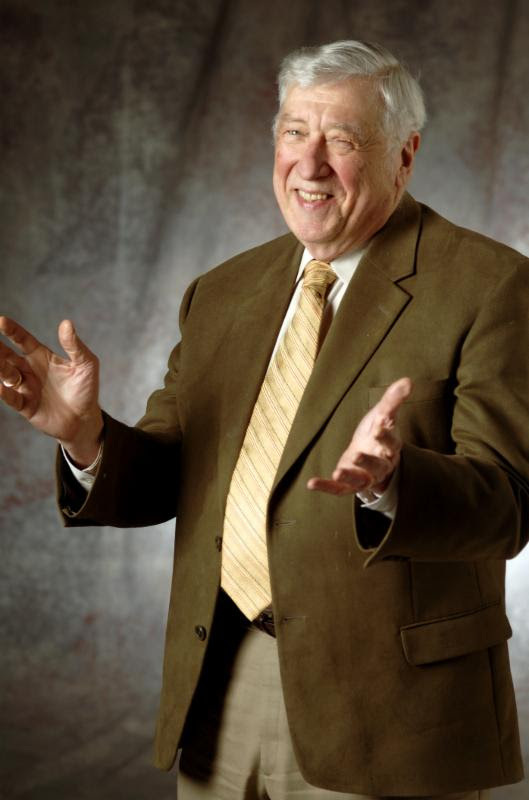 Fred has done a wonderful job keeping Gunther’s memory alive by bringing students, teachers, family, friends, and the larger New England community together to celebrate Gunther’s legacy. Thank you, Fred! More details for these events should be posted shortly, but make sure you mark your calendars! Additional details will be posted HERE. Ran was walking in Newton Center and saw a piano sitting in the grass, so, he sat down to play it! Sitting a few feet away with her friends and family, chair of the Artful Piano Festival in Newton, Maria Beatriz Arvelo, warmly greeted him and was so please to hear Ran play. 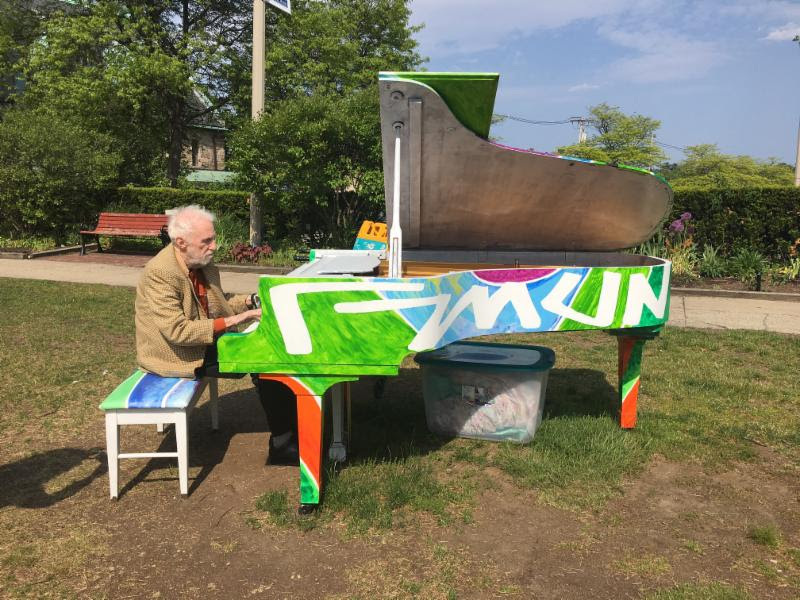 While anyone can walk up and play one of nine pianos in Newton, the festival also has a formal schedule including performances by friends Tim Ray, Kevin Harris, and many others. The full schedule can be found HERE. For more details on the artists and organizers of this festival, please visit Wicked Local HERE.